Pregnant Workers Fired Over a Glass of Water in Pennsylvania | Come Check out Our NEW Site! Did you know that a pregnant woman in Pennsylvania can be fired for asking for a stool or water bottle at work? Women make up about half of the workforce, and working women are the primary or sole breadwinners in 40% of American families. Yet women continue to face unique obstacles in the workplace that compromise their ability to provide for their families. One of these obstacles is pregnancy discrimination. Here in Pennsylvania, some employers are still refusing to grant an employee’s reasonable request for a temporary, minor accommodation related to their pregnancy, childbirth, or a related medical condition. Women should not be forced to choose between listening to their doctor, or their employer. The good news is that Pennsylvania lawmakers have an opportunity to help pregnant workers. The Pennsylvania Pregnant Workers Fairness Act would require some employers to make reasonable accommodations related to pregnancy, childbirth or related medical conditions. By 2016, it is beyond obvious that pregnant workers should not have to choose between maintaining a healthy pregnancy and earning a paycheck. 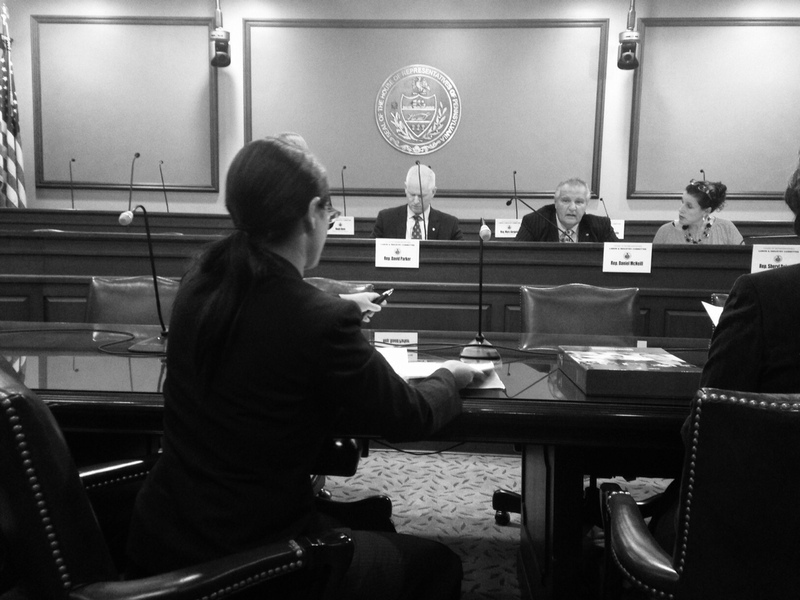 Last year, Women’s Law Project staff attorney Amal Bass, and other experts, testified at a public hearing about this issue, so we know Pennsylvania lawmakers are aware of both the problem and the fact that Pennsylvania is lagging behind other states in protecting pregnant workers. Yet, this bill has stalled in the Labor and Industry Committee of the Pennsylvania House of Representatives due to insufficient support from our representatives… including many lawmakers who otherwise claim to care about pregnant women. In fact, less than 5% of the lawmakers who supported the bizarre double abortion ban recently introduced in Pennsylvania support enabling pregnant workers to ask for an extra glass of water, or chair to lean on, while at work. So what can we do? Lawmakers need to hear how crucial this legislation is to constituents and their families, so please call your representative and urge them to support HB 1176 by co-sponsoring the bill or voting it out of Committee. 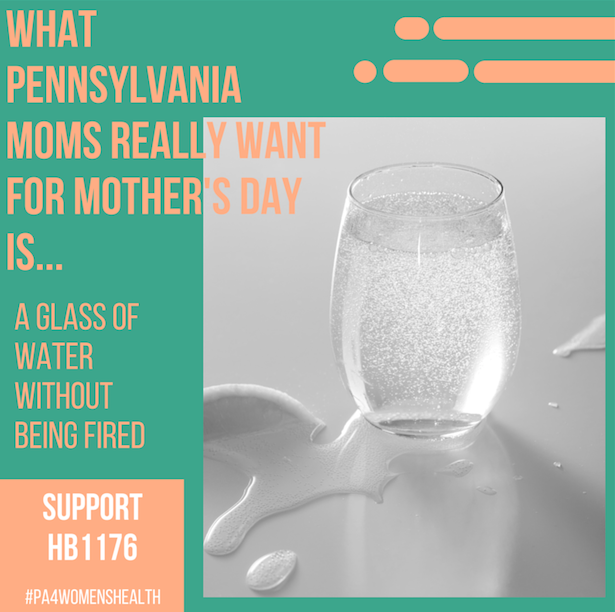 Call today and leave a Mother’s Day message, call tomorrow, or send an email simply urging them to express support for pregnant workers in Pennsylvania by supporting HB 1176. Find your Representative and his or her phone number here, or easily send an email to your lawmaker through our Action Alert system. This entry was posted in pregnancy discrimination and tagged Discrimination, HB1176, hypocrisy, Mother's Day, PA Agenda for Women's Health, PA Campaign for Women's Health, Pennsylvania, Pregnant Workers. Bookmark the permalink.